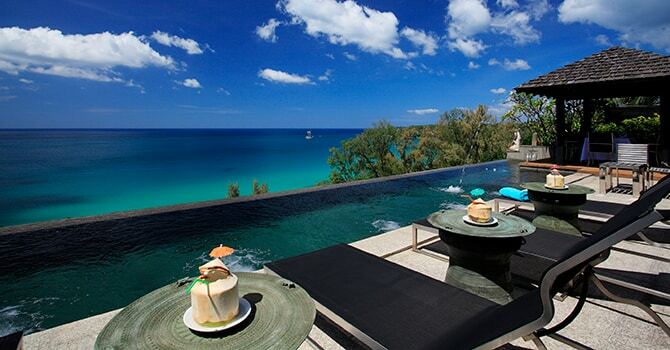 A gorgeous estate just above the beach, this 11 bedroom property features a home theatre, private infinity pool, all amenities, and with incredible ocean views. 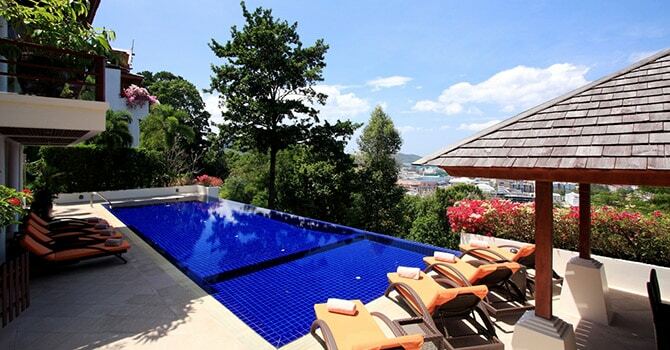 Expansive holiday property, spacious 7 bedrooms, an opulent escape atop a lush hillside featuring a chic infinity pool, and minutes from Patong Bay. 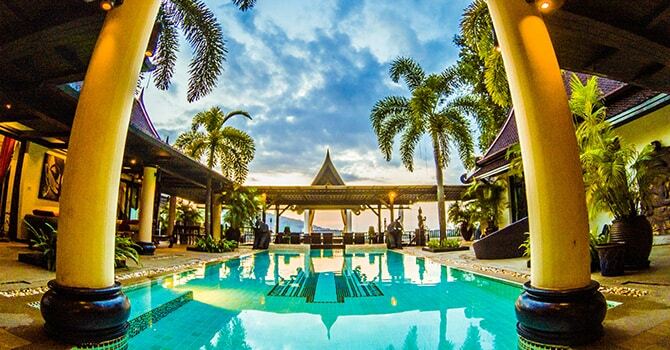 Luxury 9 bedroom tropical villa set into the lush jungle overlooking the Andaman Sea in Kamala and featuring a private pool. 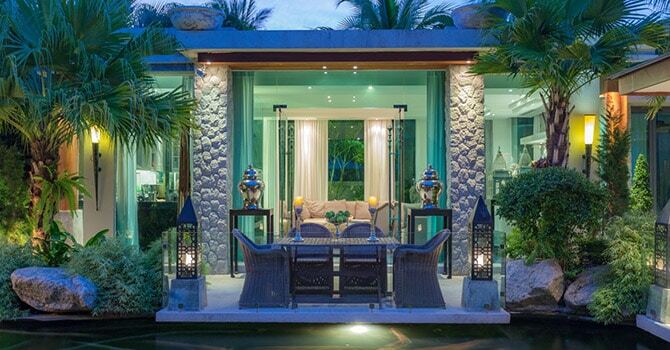 A stunning 9 bedroom luxury villa, this magnificent island oasis features a common pool and garden just a short walk from marvelous and popular Surin. 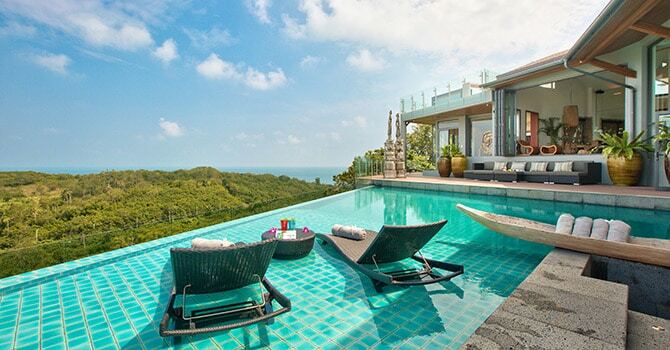 8 luxury bedrooms with breathtaking hillside & panoramic ocean views in Choeng Mon, with a private pool and modern style.